I am presently beginning my 19th year teaching Health and Physical Education in Loudoun County. Prior to coming to Virginia I taught Physical Education for seventeen years in Ithaca, New York, and two years in Medford, New Jersey. I received a Bachelor of Science degree in Health, Physical Education, Recreation and Dance from Lock Haven State College, presently known as Lock Haven University, in Pennsylvania. I received my Masters of Science in Education from SUNY Cortland, Cortland New York. I am married and have three children, Erin, who graduated in 2004 from Broad Run is the Activities Coordinator at the Sports Pavilion in Ashburn Village. Kyle, who graduated in 2007 and then graduated with both his undergraduate and graduate degrees from James Madison University is presently teaching Math at Strasburg High School. Amy, who graduated in 2009, graduated from Radford University and is employed with Capital One Bank, as a Talent Acquisition Associate. I also have two very active grandsons, Jacob 5, Logan 2, and a beautiful granddaughter, Emelia 1. My husband, Randy, is a Health and Physical Education teacher, and department chair, at Stone Bridge High School. 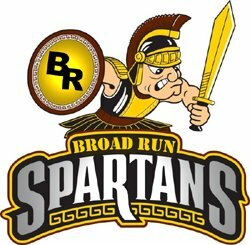 I have been the department chair of Health and Physical Education at Broad Run High School since I arrived. I will be teaching all ninth grade this year.